Greetings from Lake Arrowhead. I’m home for a short while before we head off to California Wine Country in 2 weeks. I do a good deal of traveling and don’t let a lot of grass grow under my feet between trips, which are often to different time zones. And I hate the thought of missing even a few hours of a trip due to jet lag or arriving home feeling like I need another vacation from my vacation. So, over the years I’ve developed my tried and true method for avoiding jet lag and I thought it was time I shared it with you. Even if you are flying first class, don’t be tempted by inflight cocktails. Try to limit yourself to one glass of wine for the duration of your flight. If you’re flying at night, try to have that glass of wine just before you plan to try and sleep on the plane. If you’re like me, alcohol makes me sleepy, and even though I’m usually not able to sleep much on planes, a night cap helps me get a little cat nap. Instead of consuming alcohol, make sure you down plenty of H2O while airborne. Dehydration leads to headaches, making sleep even more fleeting. Herbal tea can also help sooth you to sleep on a plane. I throw a few packets of my favorite herbal tea in my carryon and ask the flight attendant for hot water. 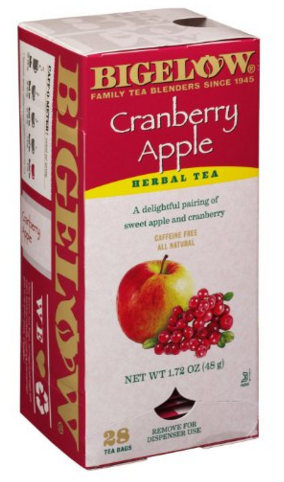 In fact, my alltime favorite tea is Bigelow’s Cranberry Apple. The very first time I had it was on an Alaska Airlines flight. I loved it so much I saved the wrapper so I could find it when I got home. After an exhaustive search at all my local supermarkets I finally figured out that it is not sold at retail. It’s a food service item for Bigelow, who only sells it institutionally to restaurants. That said, I was able to find it here on Amazon where I order it in bulk. It’s really delicious! I also use it to make iced tea. No matter what time it is for you when you arrive at your destination, don’t go to sleep until it is your normal bedtime hour in the new time zone. I know you may be dying to take a nap but avoid doing so until it’s bedtime in your new time zone. Force yourself to stay awake by taking a walk and staying as active as you can. The jet lag kiss of death and a sure way to feel terrible for the next few days would be to go to sleep before it’s time. Even if you’re not hungry, try to eat when it’s time to eat in your NEW time zone. Eat a healthy breakfast in the morning and avoid a heavy meal before bedtime. Eating at the appropriate time works wonders in helping to acclimate. When it finally is time to go to bed force yourself to sleep during the normal hours of night in your new time zone. I do this by popping another pill. 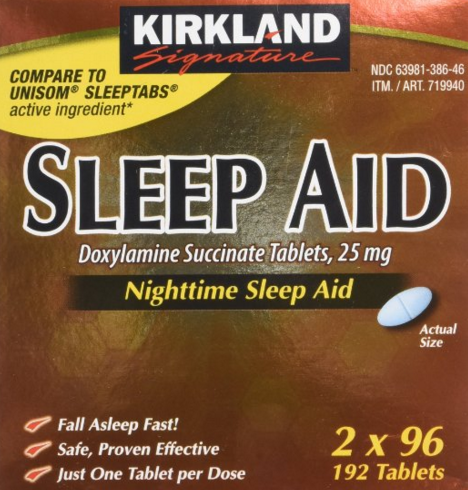 This time I use Costco’s Kirkland Signature Sleep Aid. This little pill puts me to sleep in about 15 minutes and I awake about 7 hours later feeling refreshed. I have tried lots of other over-the-counter sleeping pills and most of them leave me feeling groggy. Not these little pills, they work like a charm. Next time you travel give my tips a try. Then let me know how it worked for you! Thanks for dropping in! Do please leave a comment below. I’d love to hear from you! Just scroll all the way down to the comment box. All opinions expressed in this post are my own. Unless otherwise credited, all photos are the original property of www.AfterOrangeCounty.com and may not be reproduced without specific permission. This post contains affiliate links and I will receive a small commission if you make a purchase after clicking on my link. Thank you for helping to make this blog possible.